Halloween is over, and you know what that means…it's coming. The season. The Holiday season. Every year it seems to get a little more intense and stressful with baking, shopping, decorating, etc. ; and while we all have great intentions, none of us can recreate everything we see on Pinterest (not even Martha Stewart). 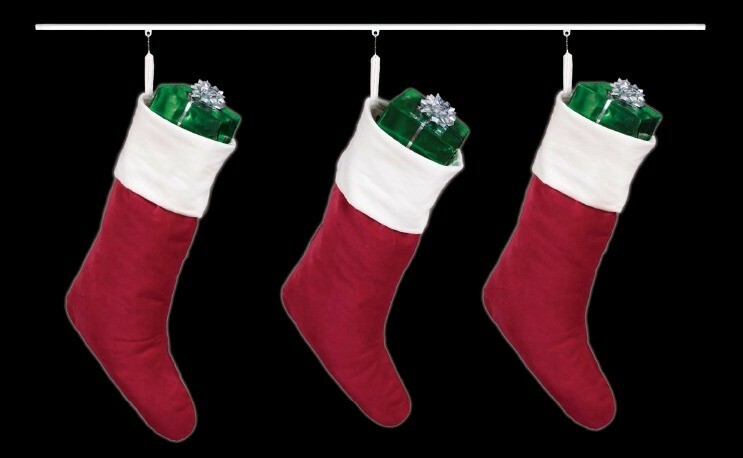 So our advice to you as we approach this time of year is to relax, and let us help you with at least a tiny little bit of the upcoming festivities with our Christmas Stocking Hanger Kit. 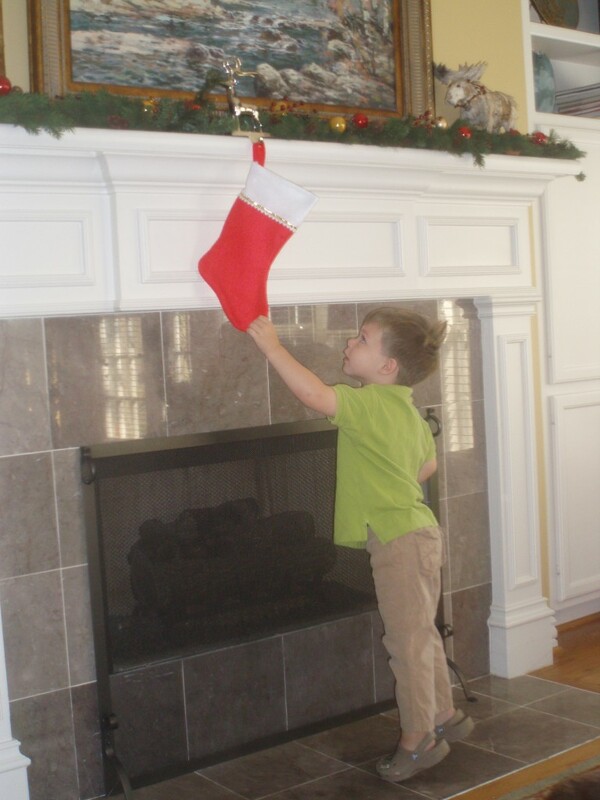 Picture a brightly colored, interesting, eye-catching stocking, hanging at toddler eye-level, being held in place with a classic, heavy, sitting-on-the-edge-of-the-mantel stocking hanger. One little tug and junior has a lump on the head for Christmas. Our stocking-hanging kit is safer than mantel-top hangers, and has other advantages as well. This Christmas stocking hanger kit comes with two three-foot sections of curtain track, six hooks, and the drapery hardware and instructions needed to install the track underneath the fireplace mantel. Once mounted, the hooks simply slide into place and are ready for stocking hanging. Stockings can be easily moved, rearranged, or added as needed, and your mantel is free for other decorations. If you need to hang more than six stockings (or you lose a hook, which happens to the best of us) you can order a set of six more hooks for much less than the cost of buying more mantel-top hangers. The track provided in this kit will keep a low-profile all year round. You can use it for hanging banners, and decorations for birthday parties and other Holidays. Invest a little time this Holiday season to make your Christmas a little bit safer for the little ones in your family, and make year-round decorating, and every Christmas from here on out, a little bit simpler and easier. We have had lots to say over the years about safety around the Holidays, and the use of curtain tracks for decorating: check out some of our previous blogs on these topics. After you are done reading, order one of our Christmas stocking hanger kits; they are available to ship right now!